Shroud, one of PlayerUnknown’s Battlegrounds’ most popular streamers, isn’t somebody who loses very often. A former Counter-Strike pro, he’s rarely outsmarted or outgunned. It’s not uncommon to see would-be rivals try to level the playing field with hacks. Every once in a while, he calls out cheaters on stream. Recently, however, he seems to have gotten the wrong guy. Today, he partially apologized for that. During a match a couple days ago, Shroud ate a small cannon volley’s worth of lead the second he peeked his head around a corner. “Two cheaters there,” he said afterward. One of them, he claimed, used speed hacks and was named Go_Bang. In a post yesterday on the PUBG subreddit, however, Go_Bang (via a friend’s account) claimed he definitely wasn’t a cheater, but that now he’s being treated like one. He played well, but not in any way that would suggest speed-hacking, which involves moving far more quickly than should be possible in the game, and at one point he even witnessed somebody else kill Shroud and made a surprised remark about it. 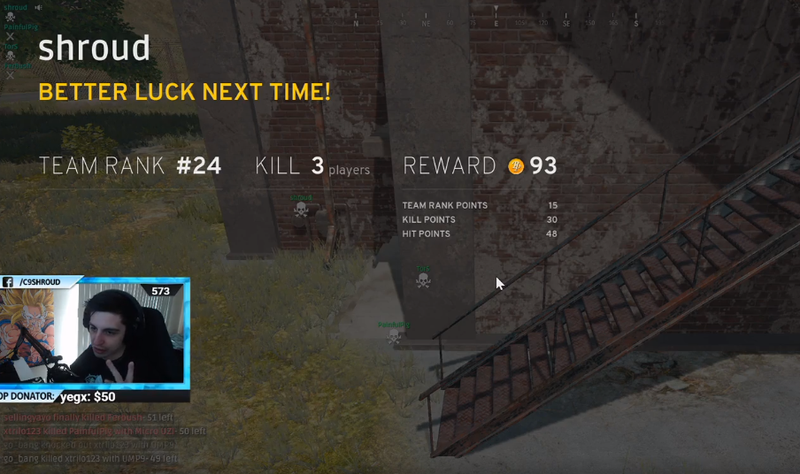 Go_Bang did manage to kill the player who ended up killing one of the actual hackers, which put his name in the game’s killfeed shortly after Shroud’s death. That could be why Shroud thought Go_Bang was a hacker. Since then, Go_Bang claims his account has been reported “hundreds of times” by Shroud’s viewers. It’s a claim that sounds audacious until you realize that Shroud has over a million followers on Twitch, and thousands tune in every day to watch him stream. Go_Bang is now worried about facing consequences for something he says he didn’t even do.